So you made a company Twitter. You’ve nailed down the profile pic, the backdrop, the bio….Now what? Creating your profile is the first step to finding your Twitter audience but the truth is, if you build a profile, they probably won’t come. You have to invite them to you! An active Twitter account can be a great asset to your company as long as you’re using it correctly. Twitter’s primary uses include customer service, reputation management, and keeping your audience informed. It is also the 5th most popular platform among US adults and roughly half of those users access Twitter at least once per day. Twitter is an exciting social platform to be on! Implement these 6 tips to keep up in the fun yet fast-paced world that is Twitter. Hashtags are your best friend on Twitter. The better you get at utilizing hashtags, the more people will see your tweets. People don’t only use hashtags to organize tweets but also to connect with other people. 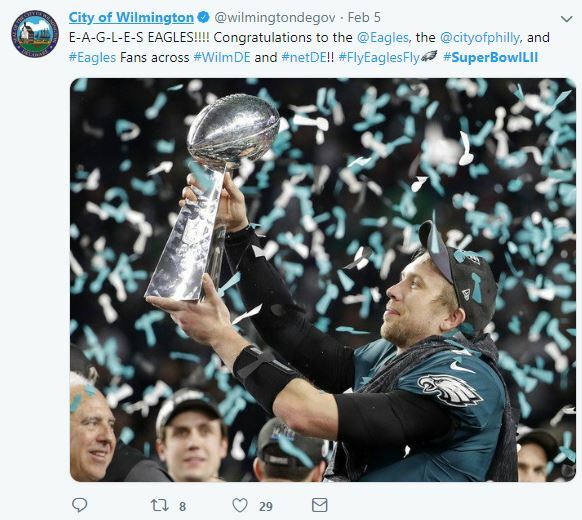 An example of this is the hashtag used during and leading up to the 2018 Super Bowl. Twitter users used the hashtag “#SuperBowlLII” 285,749 times to communicate about the big game. If you’re hoping to interact with other Twitter users on a trending topic, hashtags are the best way to go. Twitter is fun! It’s a great place to get to know your consumers and even your competitors. Jump in on Twitter discussions and don’t hesitate to follow someone if you like what they have to say! Following more people as opposed to fewer can actually increase your account’s visibility. When looking for new people to follow I like to see who the top leaders in my industry follow. It helps me find more people within my niche that I trust will add value to my Twitter feed. Following the right people can also help you be the first to know about breaking industry news! It’s important to know who you’re targeting. Would you follow a sports account that regularly digressed to post a political rant? Or a meme account that reviewed restaurants as well? These may be extreme examples, but my point is that these kinds of habits create sloppy Twitter feeds. The beauty of twitter is being able to pepper your feed with very specific themes and interests. Once you’ve narrowed down your audience, it will be easier to post tweets that are relevant to them. So pick your target audience and make sure you have a goal in mind for your feed. Is it to educate your audience? Provide customer service? Maybe it’s both! Just kidding. Posting an image will not ensure you 1,000 retweets. But it is one of the best ways to capture someone’s attention as they scroll through a constantly changing Twitter feed. A study conducted by Twitter proved that using images in your tweets is more effective for getting retweets than videos or hashtags. 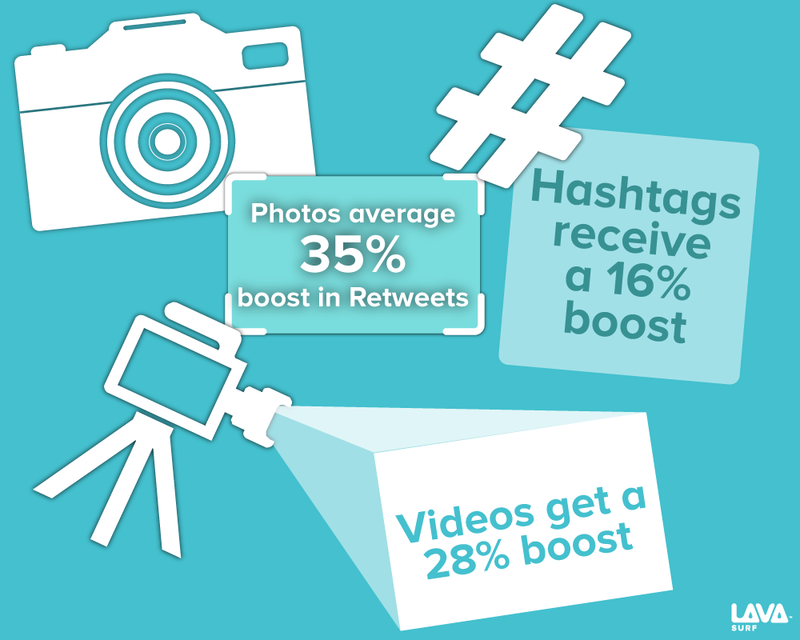 Tweets with images received 35% more retweets than those without. You can use images as a dual sword in your social media strategy. Start by creating your own imagery to solidify your brand. Turn to your branding guide and create a theme for your images. You might find that you enjoy a clip-art look for your images. Or you may realize that you prefer to take your own photos. After you’ve developed a theme for branded images, start spicing things up with alternate pictures that suit your Twitter goals. For example, posting trending gifs and memes with captions that directly apply to your brand. 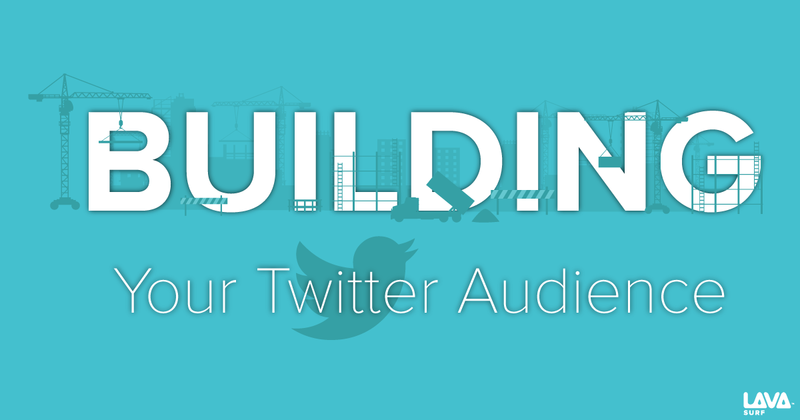 Twitter analytics is easily one of the best ways to get to know your audience. Analyze your tweets and campaigns frequently. Which tweets performed best? Which tweets did people interact with the most? Be sure to give your audience more of what they want. Based on your findings, giving them more of what they want could mean posting more images or interactive polls. You may also find that shorter tweets perform better than longer ones. Remember you don’t have to use ALL 280 characters. In a lot of cases the quicker you can get to the point the better. As I mentioned before, Twitter is a fast-paced platform. The lifespan of the average tweet is only about 24 minutes. This means you need to tweet regularly if you want people to keep you top of mind. Try to tweet at least twice a day and be sure to respond quickly to your followers. If that all seems like too much for you, no worries! Use a digital planner like Lava Surf to plan everything out ahead of time! This way you don’t have to live on Twitter if you don’t want to. There it is! Twitter is a fun and simple platform to use once you get the hang of it! Your Twitter account is a great platform to have discussions with your customers and get to know your target audience better. So tweet authentically, tweet a lot, and have fun! Reclaim Your Social Media in 2019! How about a solid case study? Fill out this form below to download it.